If the alliterative title Zack Zero makes you think of a bad '90s edutainment cartoon (whose mere existence is made even more egregious by the staggering amount of entirely JAWESOME '90s cartoons), then you actually already have some idea of what to expect. What purports to be a callback to retro, side-scrolling, 2D gameplay ends up being a cheap imitation of the style -- a sometimes broken imitation at that -- that was gussied up and hurriedly trotted out. At first glance, nostalgia may make it seem enticing, but closer examination exposes a lot of issues, both in execution and concept. The presentation of Zack Zero left me leery at the onset. The main menu didn’t look good at all, to start, but I excused it for being functional, if nothing else. When I started a new game, I was taken to a screen that had four separate fonts on it. Similarly, the in-game text boxes you’ll ignore from Zack’s helper lady are bulbous and excessively big, while the game also feels the need to continuously update you, in real time, with useless leaderboard statistics housed in tacky, pixelated notification boxes that only serve to clutter up the screen and make everything look a little more unsightly. The story behind the game is paper thin. With that, you might think it isn’t worth talking about. Unfortunately, it’s also horrid enough to warrant discussion. Frankly, it’s embarrassing. Despite being relegated to a handful of awkwardly drawn, partially animated 2D cut scenes set to narration, it stands out -- and the contrived plot (Zack’s girlfriend was kidnapped) is the least offensive thing about it. The narrator provides some of the worst voice acting I’ve ever heard. His delivery is stilted and flaccid, rife with inorganic, forced enthusiasm. If there were more signs of life behind his words I would have assumed he simply chose to record in a drunken stupor because of how awful the writing is, but his performance is depressingly sobering. Still, the writing manages worse. With gems like, “[the bad guy’s brother, whose name I forget], irate, did not hesitate to shoot at them with his powerful neutron gun,” it doesn’t even sound like something written for an eleven-year-old, but rather something written by one. To top it all off, the game ends in a hilariously unsatisfying cliffhanger, wherein nothing is resolved and we’re told, “See you in the next adventure of Zack Zero,” unflinchingly and without a shred of irony. At least the game can only go up from here. 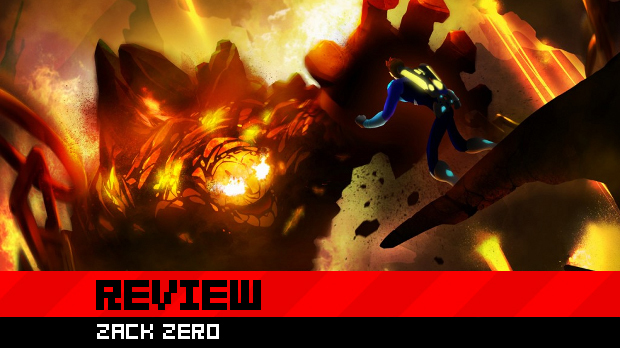 Zack has to traverse a number of distinct and perilous environments over the course of the game, most of which are pleasantly vibrant and nice to look at, the derivative lava and industrial sci-fi levels notwithstanding. Anyone hoping to simply ignore anything that attempted to resemble a narrative and indulge in some good ‘ol action platforming will still be left a bit wanting, however. Zack appears gangly and doesn’t seem to fit in with his otherwise appealing 3D environments, which is reflected in the plodding, occasionally unwieldy platforming. 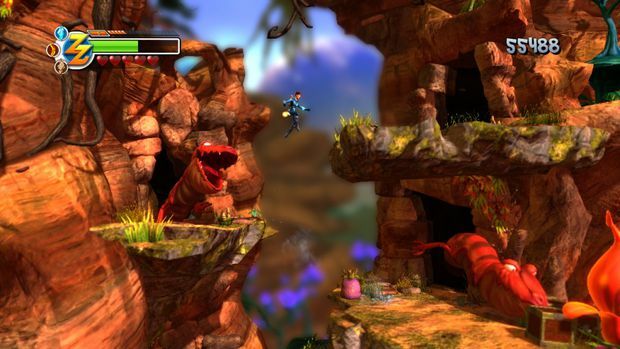 At its best, the platforming is plain and competent, without the innate satisfaction of speed or precision. At its worse, it leaves you cursing a temperamental double jump and is merely a dull, much too slow means of conveyance for Zack to go towards the next group of enemies. The game also sports LittleBigPlanet-esque depth of field wherein Zack can move between planes in his otherwise left-right travel. However, these instances are infrequent and there is a lack of visual clues to differentiate these planes. This causes a lot of awkward jumping downward and upward, hoping to move between these planes of travel, and the game doesn't always want to oblige. It’s also remarkably easy to accidentally jump into the wrong plane and fall to your death. Fortunately, a forgiving checkpoint system alleviates any concern over excessive wasted progress due to the imprecise platforming. The biggest draw to Zack Zero seems to be its titular hero’s suit, which has three different elemental forms in addition to its standard form. These forms are occasionally used for what I hesitantly call elementary puzzle solving (depress the switch; depress two switches; depress three switches), in that you need to be in a certain form to activate certain things in the environment. Otherwise, their main use is in combat. While using different powers and moves counts towards a combo gauge, the powers don’t have much in the way of direct interaction or cooperative use. They can be fun to use, but you’re stripped of almost all of your powers in the game’s opening chapter, and you have to level up to slowly get them back. The actual combat works well enough. 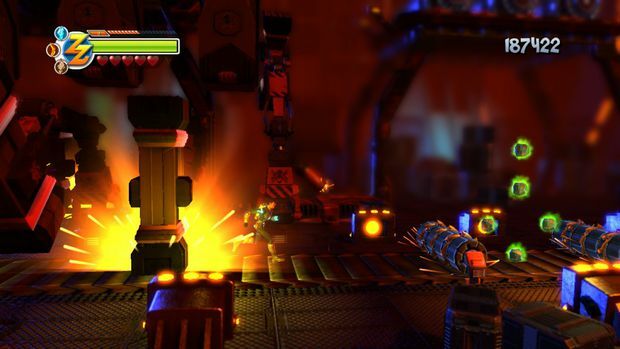 The 3D environments in 2D allow for enemies to come from ahead and behind, both from off screen and from foreground or background areas that Zack isn't running in, though when enemies rest on different planes, Zack's attacks sometimes fail to target them, as they are automatically aimed. Enemies are also either particularly fierce or Zack is simply frail, as peons are able to best, or at least heavily damage Zack. 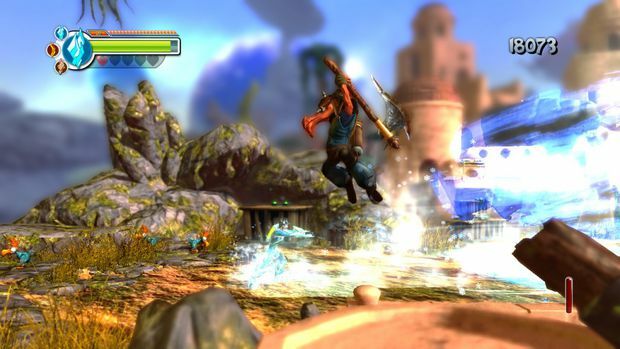 Evasion, in the form of jumping and running are a must, though the hit and collision detection isn’t always on the player’s side. Any sense of progression in the combat always rings sort of hollow because all of the powers were unlocked at the beginning. When you level up, the game pauses and a bright light, combined with almost mocking “Level Up!” text obscure the screen (which led to multiple deaths for me). The abilities that level up are then chosen for you, forcing you to continue to play with a limited skill set. It comes off as rather self-indulgent, watching the game enthusiastically pause and make a big show of automatically leveling up abilities as it sees fit as you watch some of the little blips that represent your abilities go up a notch. More important than any slight I might’ve felt, however, is that keeping you from your full potential early on renders the game’s biggest draw moot. 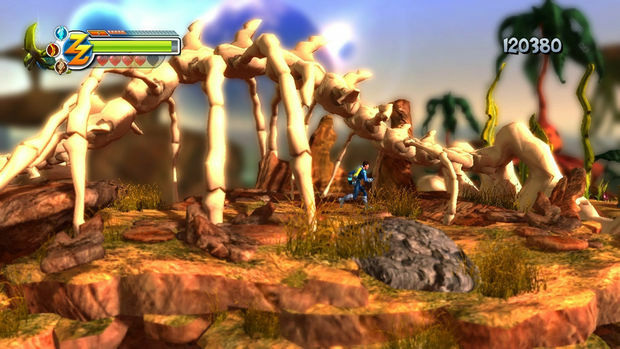 The ice and earth forms are practically useless for much of the early portions of the game, and the fire form isn’t much better than the normal form, save for its faster running allowing you to traverse barren portions of the landscape more quickly. Had the game been balanced for all these powers in mind, it could have been at least been more interesting to play. In addition to any I’ve specifically mentioned, be sure to expect a few more technical hiccups here and there. In one boss fight, Zack’s running animation didn’t work properly; instead, he slid, legs in place, unable to jump until I got hit (or, as I later realized, switched to another form). In the final boss fight, the effect for the damaging seismic waves that came from the boss’s ground pound sometimes didn’t even show up on screen at all, so I had to try and gauge where I thought they might be. Effects disappearing in such a manner was the most frequent issue I came across. 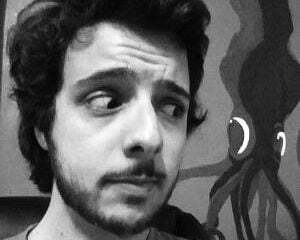 The one wholly positive thing I have to say about the game is that the enemy designs are largely cute, unique, and fit well within the game's vibrant aesthetic. During one segment of the game, I came across these adorable, giant frog creatures with wry grins on their faces. I hoped I wouldn’t have to kill them, but then one spat acid in my face and actually started pointing and laughing at me. I killed him with fire. The best part is that the frogs’ heads decapitate when they’re killed and briefly remain in the environment, rolling around, that wry grin never leaving their faces. Zack Zero feels like it was made by going down a checklist. Lava level? Check. Rudimentary puzzles? Check. Arbitrary baubles and hidden treasures to collect? Check. Boss fights at the end of levels? Check. There’s no charm, save for the enemy designs and certain environments, and no sense of identity. The game alternates between being an unexciting, stale, middling affair, and being a somewhat broken game that hits some remarkably low lows. I don’t know which is worse.